Available for Personal Training sessions and Small Group Circuit Training Classes. I encourage a lifestyle of healthy eating to go along with the workouts to get the best results. Whatever your goals may be I would love to help you achieve them! My small group classes are a fun and creative workout that pushes and challenges you! I always start with a thorough warm-up to get your heart pumping and your body moving then I lead you through different workouts with each class. I love changing up my classes with different styles so your body is always challenged in a new way that leaves you feeling confident, energized and fulfilled. I focus on the main muscle groups of the body and throw in cardio, postural exercises, and core strength so you get the most out of each class. My classes are different than a typical gym because I incorporate mainly bodyweight exercises with some added balance challenge with either TRX, Bosu Ball, or Stability Ball. Each workout incorporates multiple muscle groups so you burn more calories during your recovery leaving you feeling strong! At the end of each class, I go through a relaxing full body stretching series that focus on the muscles we worked that day. Contact me and let me know if you’re interested! Enjoy being outside and starting your morning with exercise!! I offer classes at Lake Louise Park located in Weaverville, NC just outside of Asheville. Teaching classes outside brings me so much joy and Weaverville has an amazing park that has some outdoor equipment as well as a walking or running trail and a beautiful setting. 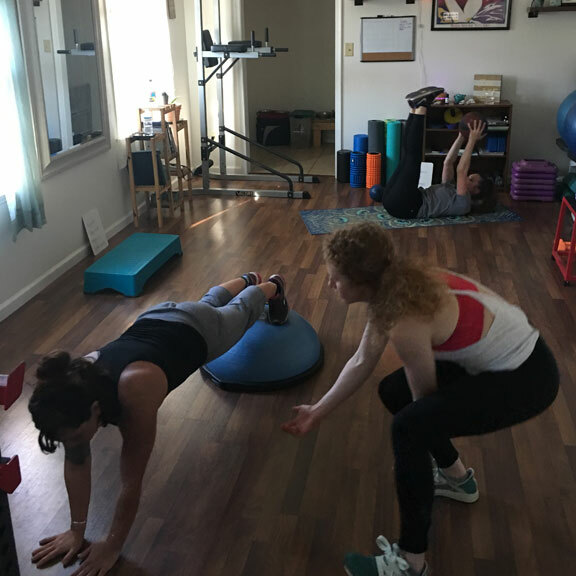 As with my other small group classes, I change up each class to keep the body guessing and adapting to new movements as well as preventing plateau when reaching your goals. I use some of the outdoor equipment as well as bring some of my own and work on building strength throughout the entire body. 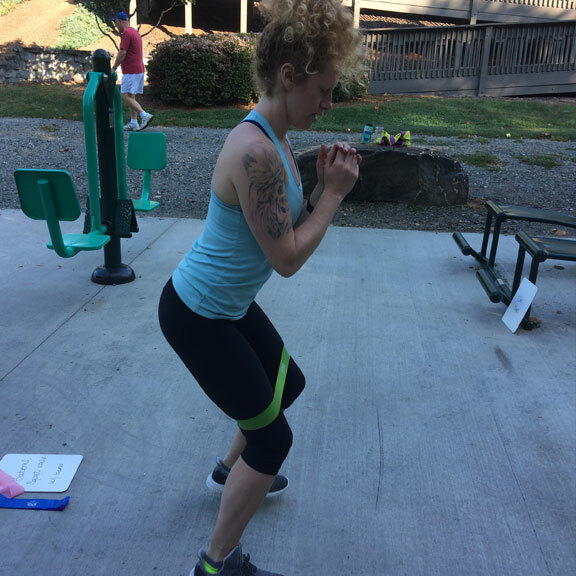 I personally love to work on upper body and core strength but most of my classes offer a full body workout to build strong, lean muscles, improve cardiovascular health and help correct muscles imbalances. I really take the time to explain how and what to engage during movements so you are well informed on what you should be feeling and how your body should be moving. It’s amazing how the body works and I love teaching about the proper form to make sure you are doing the exercises correctly. All of my classes are modifiable for any age and fitness level. I love working with beginner clients that might feel worried about starting a new program to help build self-confidence. You work at your own pace and I will show you alternative moves that work for you whether you need more or less of a challenge. Contact me to get more information about days and times for outdoor classes!